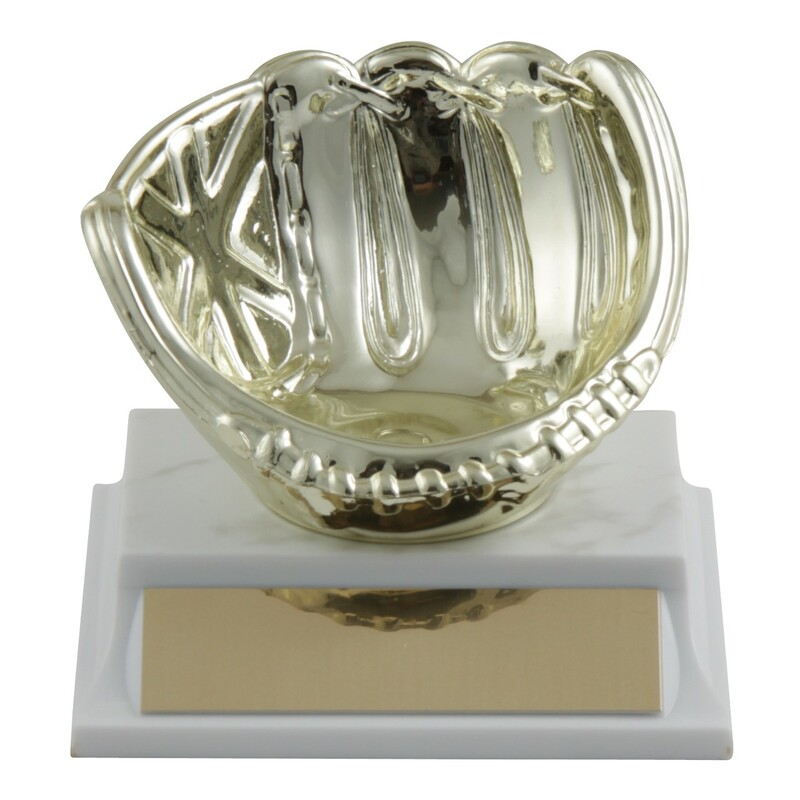 Our Mitt Ball Holder Softball Trophy features a golden mitt that can hold a regulation size softball (not included), and is attached to your choice of base. 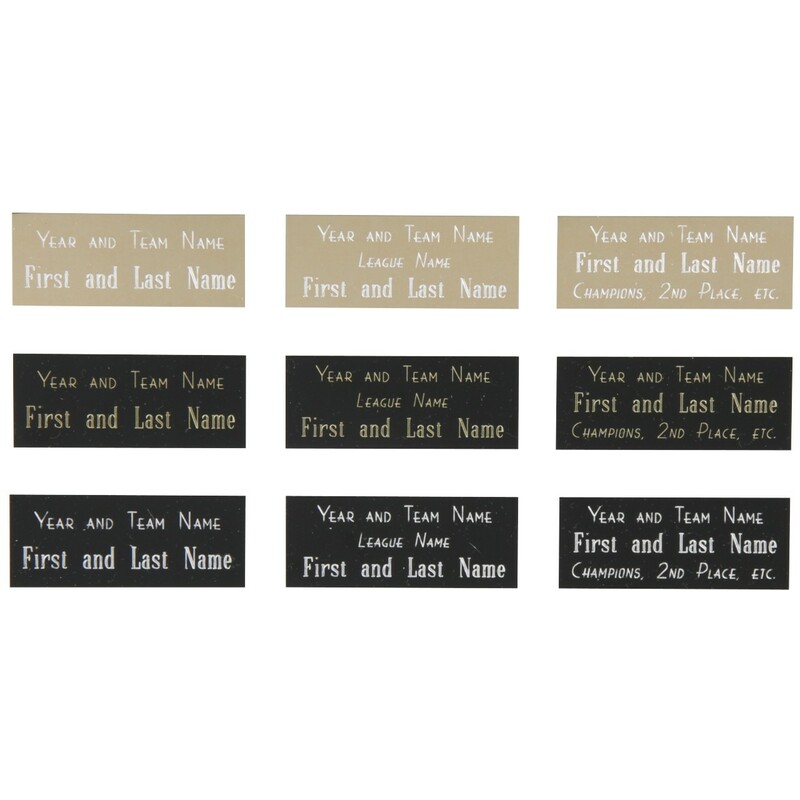 It is perfect for displaying a special game-winning ball! 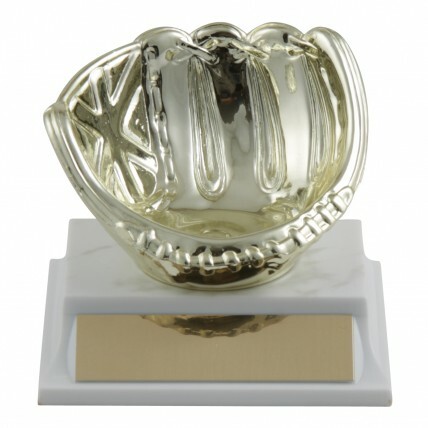 Coaches can place an autographed ball from the team and display it on this attractive softball trophy!